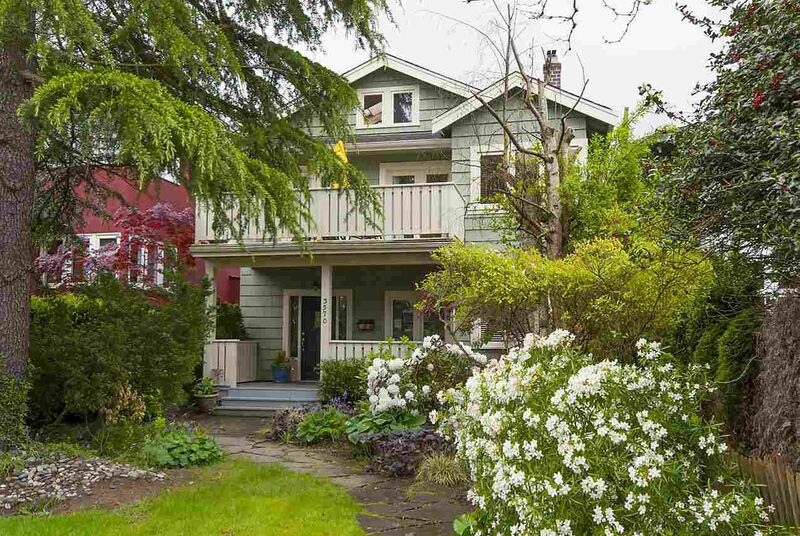 GORGEOUS STREET APPEAL, in this ideally located central Kitsilano home. 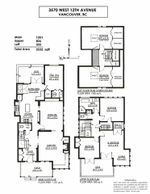 Excellent layout with French door to garden & south facing PRIVATE & QUIET backyard. Steps to Almond Park, this full two storey design has 3 bedrooms and renovated bath (separate water closet) on upper floor PLUS an additional 2 bedrooms in the developed attic which is ideal for teenagers. Spacious entrance foyer and open staircase with leaded stained glass windows & skylights allow for an abundance of natural light. Original character features include built in buffet, wainscotting & Fir floors in dining room, living room with wood burning fireplace and lovely window seating area with built in storage. Updated bathrooms (up & down), updated kitchen with Oak hardwood floors, SS appliances, gas stove, large island, breakfast nook and family room. Walk to West Broadway shops & restaurants as well as excellent schools. 33x122' RS-5 zoning.